This article was originally published on The Herland Report, 12/04/2018. Two-thirds of Americans say that the mainstream media pushes fake news, 24 % among the British believe what they read in the press. The numbers reflect what the Norwegian chief editor in Resett, Helge Lurås recently pointed out in a Herland Report TV Show, that the people now react in massive numbers against the establishment. Dr. Paul Craig Roberts, one of America’s leading political economists and former editor of Wall Street Journal states the same. Watch the show here. And here. We know now, that we are subjected to heavy, malicious propaganda, as seen recently in the Douma, East Ghouta alleged chemical attack, the Skripal circus and other examples stated below. The population are weary tired of the massive propaganda that is regularly spewed out to colour the minds and manufacture consent. The Skripal Circus in which British leaders deemed Russia the culprit months before the investigation even has established the facts is but one example of how the media is used to push political propaganda. As we have stated, it could very well be Russia who did it, the point being that it is impossible to know until an independent investigation has examined the facts. Concealing how the Free Syrian Army (FSA) is a purely Western invention is yet another peculiar tendency, the FSA and its various under groups chronically being portrayed as though they are “Syrian locals who fight for democracy in Syria”. The history of the Western supported FSA in Syria is well documented, known for committing hideous atrocities, using child soldiers, killing civilians. And regularly stating support to the Syrian Al Qaida branch, swapping members etc. The French connection is widely known, the FSA operating under the French colonial flag. Last, but not least, the recent chemical attack allegations in Douma, Eastern Ghouta, was also portrayed in the mainstream as if “animal Assad did it to his own people”, even though no investigation has even begun to assess whether the chemical attack even took place or is simply bogus, or whether it was the Syrian Arab Army or terrorist groups and Western supported Islamist extremists who did it. The Syrian Arab Army now claims to have found the site where the White Helmets filmed their videos in East Ghouta. No one has yet examined who did it, still the US is ready to launch “smart bombs”. To any rational being, it is quite clear that the chaotic US on the verge of collapse in heavy debt, is willing to put aside the Western principles of first establishing by proof who did it, before judging by allegation. 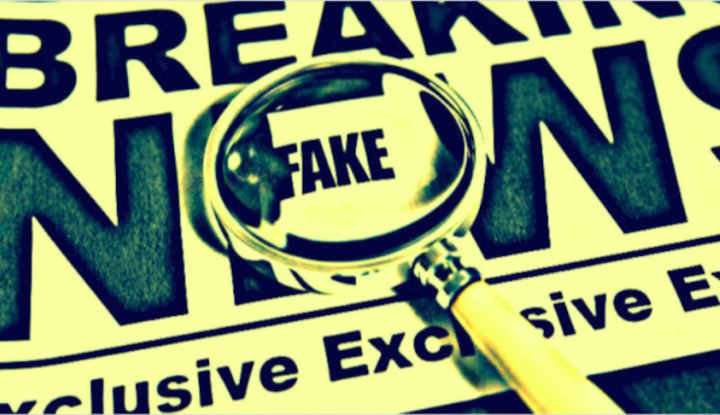 “According to data from the latest Harvard-Harris poll, which was provided exclusively to The Hill, 65 percent of voters believe there is a lot of fake news in the mainstream media. (Ill.: Legalzoom) Many conservatives believe the media has dramatically loosened its reporting standards when it comes to Trump, taking an anything-goes approach and running with anonymously sourced material that it would never print about a more traditional Republican or Democratic administration”. The confidence in UK media has also fallen noticeably in recent years. “According to communications agency Edelman’s 2017 Trust Barometer survey of 1,500 Britons, the number of people who said they trusted British news outlets at all fell from an already low 36% in 2015 to a mere 24% by the beginning of 2017. The 2017 Digital News Report from the Reuters Institute, published in June, found that just 41% of British people agreed that the news media did a good job in helping them distinguish fact from fiction. The figure for social media was even lower: 18%”. Watch Dr. Paul Craig Roberts speak about how the worst thing that happened in his life time was the fall of the Soviet Union, which led to the rise of the neo-con movement which is destroying America and the West with all their warmongering all over the globe.